Can you guys believe Thanksgiving is just over a week away!? How is that possible!? CRAZY. Anyway, on Thanksgiving day, I am always reaching for something comfortable in my closet. Something that isn't too fitting, and something that isn't too constricting, haha. 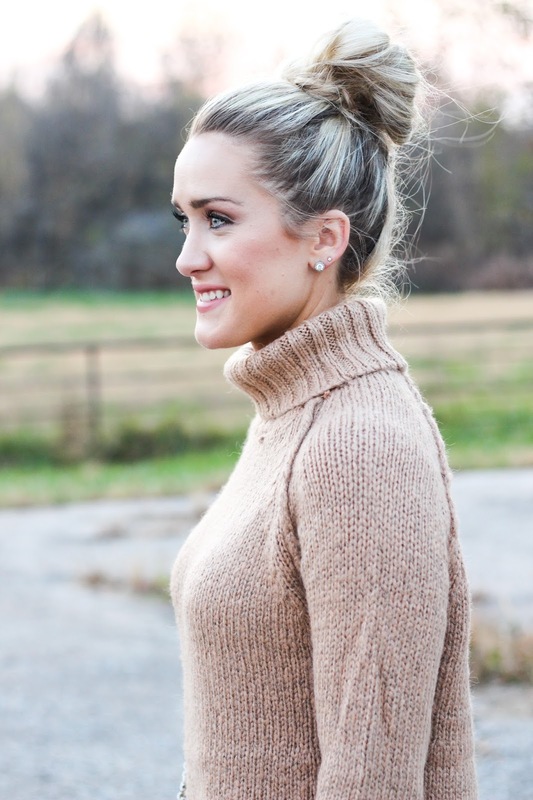 This sweater will be perfect for Thanksgiving day, along with these leggings! I found this sweater at Marshalls, BUT I found some other options that are super similar, which I have linked above!